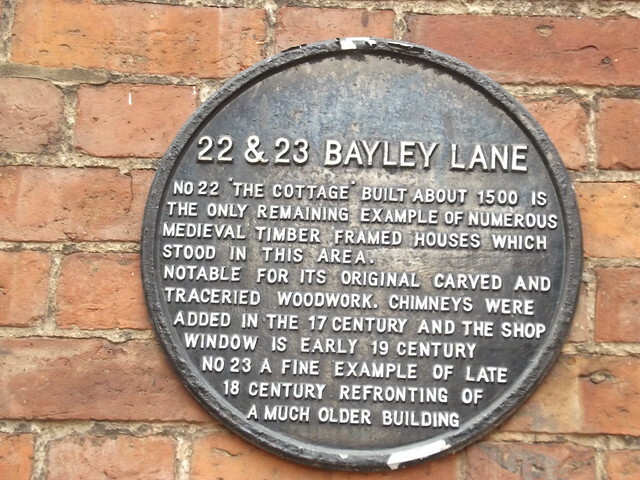 22 & 23 Bayley Lane No 22 "The Cottage" built about 1500 is the only remaining example of numerous medieval timber framed houses which stood in this area. 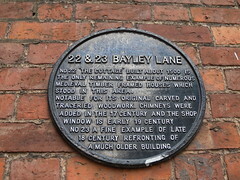 Notable for its original carved and traceried woodwork. 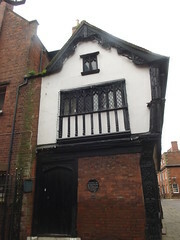 Chimneys were added in the 17th century and the shop window is early 19th century. No 23 is a fine example of late 18th century refronting of a much older building.